The other day my kitchen ran out of onions. There is a vegetable cart vendor outside my son’s school. I usually buy the day’s requirements from him. As I was before time for school, I had the time to ask this question to him which I was always wondering about vegetable sellers. I ask my friend, I do call him my friend as I meet him 5 days a week, chat with him, miss him when he does not come as I have to go else where to buy my daily vegetables and inquire where he was when he comes back, thus he can be called my friend. 2 Never sell if you don’t earn out if it..
That evening I also cooked buttermilk rasam, tomato chutney and Idlis. 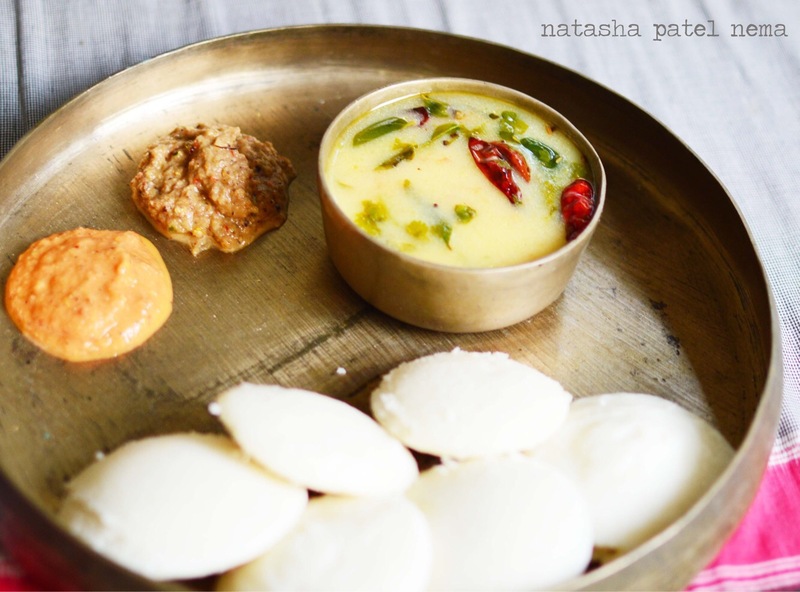 In this post I am sharing the onion chutney recipe from the cook book Dakshin. If you love south indian food, this is the ultimate cookbook..
Fry in one tbsp of oil red chilies, green chilies, gram dal, mustard seeds, curry leaves, asafoetida powder. Keep aside. Heat the remaining oil and fry the onions till they are golden in color. 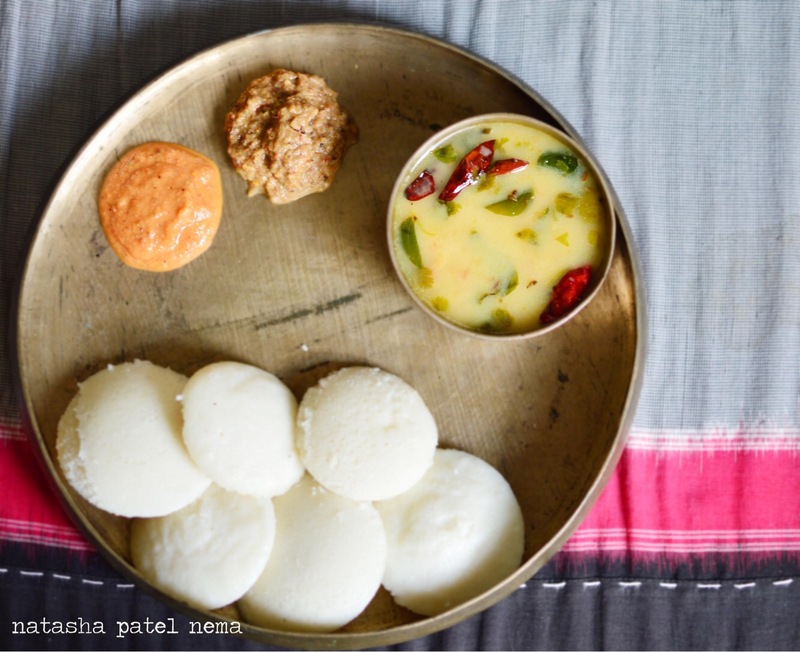 Serve with idlis or rice and ghee.